Starring Ross Lynch, Alex Wolff, Anne Heche, Dallas Roberts and Vincent Kartheiser. Jeffrey Dahmer forms friendships in his senior year at high school, but there are glimpses of the personality that would eventually lead him to become one of America’s most notorious serial killers. 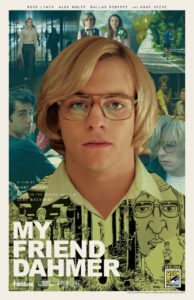 The premise of My Friend Dahmer is a simple one. Was the psychopathic serial killer Jeffrey Dahmer also a bit weird at high school? Anyone who immediately answers that question in the affirmative, which should probably be everyone, has pre-empted everything this movie has to offer. 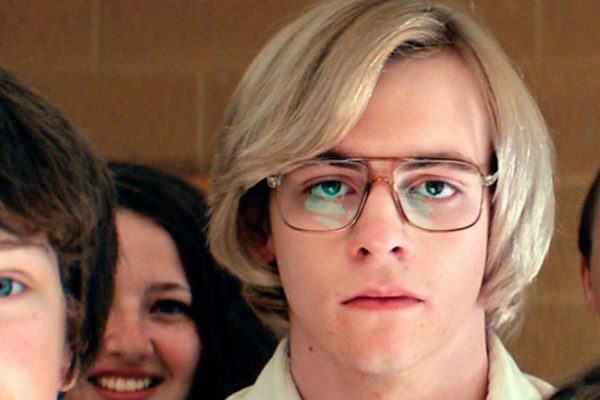 Based on a book by one of Dahmer’s high school friends and starring Disney Channel alum Ross Lynch as the teenager who would grow into a killer, it’s a story that probably seemed thought-provoking on paper – indeed it appeared on the Black List in 2014 – but doesn’t excel on the big screen. The movie follows Dahmer through his senior year at high school, where he spends his days alone and his evenings dissolving dead animals in acid or examining their bones. For some reason, he decides to act up at school by impersonating having a fit. 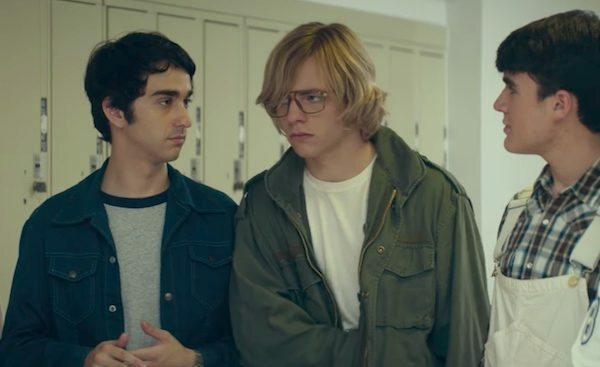 This wins him a group of friends, led by Derf (Alex Wolff), who dub themselves the Dahmer Club, in appreciation of what they perceive to be their new friends’ hilarious antics. It’s a thin plot, but one that is threadbare by design. Meyers is aiming to produce a compelling and intriguing character study, rather than a complex narrative. Many of the ingredients are there, including a well-observed performance from Lynch – a hunched, closed gait and mumbling voice, accompanied by a spaced-out look that suggests a permanent psychological distance from those around him. Last seen in the dismal, bizarre teen comedy Status Update, he could not be playing more against type. The performances around Lynch are solid, but not capable of elevating the movie above its grey colour palette and slow-moving storytelling. Alex Wolff is strange as Derf, caught between genuine friendship and exploitation in a way that is never quite resolved. Given that My Friend Dahmer is based on a book written by Derf, it’s baffling that the movie is presented from Dahmer’s point of view. A simple perspective shift on to Derf would have made for a far more interesting take on the story of a character that audiences already believe they know a lot about. This film has been sold as providing the untold story behind Jeffrey Dahmer, but there’s very little in the movie that is a surprise in any way. Meyers simply delivers a grim, grey look into the life of someone who would go on to live a life that was even grimmer and greyer than his high school years. There is real scope for black comedy in the premise, but the movie is never prepared to deliver on that, bar a few memorable lines. 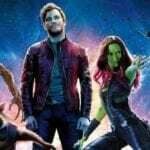 Having thrown aside the comedy, though, Meyers is never prepared to delve fully into the nastiness that could have made the movie significant. It’s difficult, once you drill down into it, to decide why My Friend Dahmer is a story that needed to be told. Beyond a handful of solid performances – Anne Heche deserves credit as Dahmer’s mother – there’s very little to get excited about in a film that, for the most part, trudges very slowly towards a final revelation that was always coming. This is a story in which a character starts on a particular path and never once deviates from that path for two hours. It’s not the recipe for a compelling drama.